Protected for decades by a well known non-profit, this idyllic Hill Country Ranch is being offered for the first time in parcels. Aptly named after the “bathtub” like depression carved deep into the limestone along the creek below Indian Valley Spring. This amazing swimming hole with its “gin clear” water beckons you to jump in. Incredible views of the untouched valley below the Devils Backbone are absolutely breathtaking. The building sights from the panoramic vistas of the surrounding Hill Country seem endless from the high elevation Mesas. Since the mid Twentieth Century, this ranch has been preserved in its natural state evidenced by the land stewardship of the previous owners. 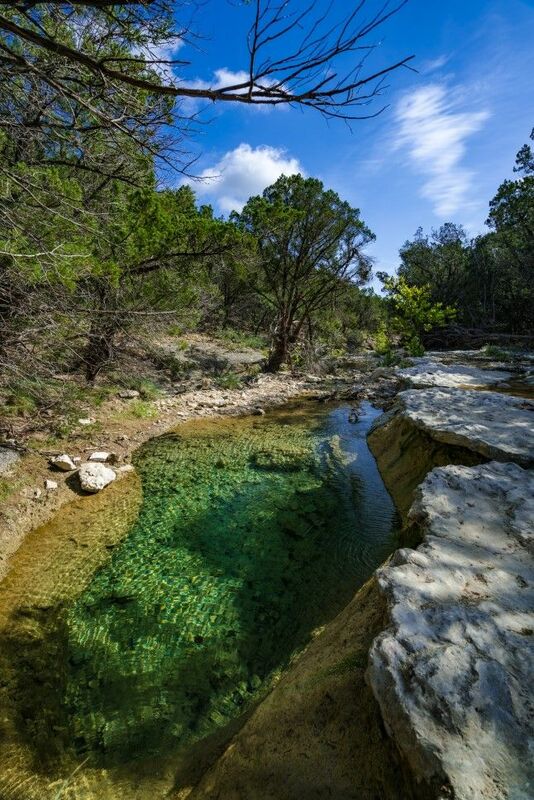 The Bathtub Pasture of Rio Blanco Ranch offers a varied topography with beautiful water features. A newly constructed private, paved road from Ranch Road 32 to the entrance of the tract provides outstanding all weather access. Additional access is available directly to Ranch Road 32. Electricity can be found on the adjacent tract.